Heritage Communities, the owner of The Heritage at Fox Run, has announced an $11 million expansion of the Council Bluffs assisted living community that is expected to provide approximately 30 additional jobs to the Council Bluffs economy. Sitting directly west of the Fox Run Golf Course, The Heritage at Fox Run will soon offer a continuum of care for residents on the 8.4-acre site. Working in partnership with Slaggie Architects, independent living apartments are being designed to range in size from studios to two-bedroom apartments. The memory support addition will include private and shared apartment options. Lacy Jungman, Heritage Communities corporate director of sales and marketing, said construction of the 94,000-square-foot addition is slated to begin in July, with construction anticipated to be completed by December 2019. Headquartered in Omaha, Heritage owns and operates 12 senior living communities as well as an additional location currently under construction in Peoria, Arizona. This will be the first expansion of The Heritage at Fox Run, which was built in 2004. 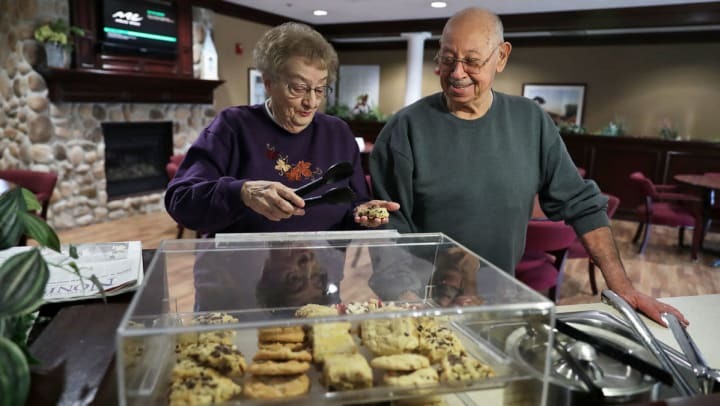 The community currently offers 66 assisted living apartments and sits on 3.4 acres of land. The acquisition of 5 additional acres of land will allow the addition of 61 independent living and 18 memory support apartments in the second building. The memory care unit will be housed in a one-story wing of the addition, while the independent living apartments will be located in two- and three-story wings. The addition will feature its own kitchen facility, as does the current independent living building. Jungman said the addition will include 14 studio apartments; 31 one-bedroom apartments; six two-bedroom, one bath apartments; and nine two-bedroom, two bath apartments; and 18 memory support apartments. Heritage Communities’ exclusive memory care program, Portraits, will also be offered at The Heritage at Fox Run. Portraits is rooted in the teaching of Dr. Maria Montessori, whose guiding principles were to offer independence, a meaningful place in the community, positive self-esteem and opportunities to contribute to the environment. Each person residing in the memory support area will have their own individualized programming based on their abilities, talents, interests and strengths. The goal is to provide engagement in life by creating new moments of joy and happiness for each resident, all in a fail-safe environment. Snapshots, which was implemented in Fox Run’s assisted living community in 2017, is an adjusted version of portraits created for those residing in assisted living with mild cognitive impairment. The Heritage at Fox Run is located at 3121 Macineery Drive, just east of the Veterans Memorial Bridge. For additional information on The Heritage at Fox run, go to heritage-communities.com.